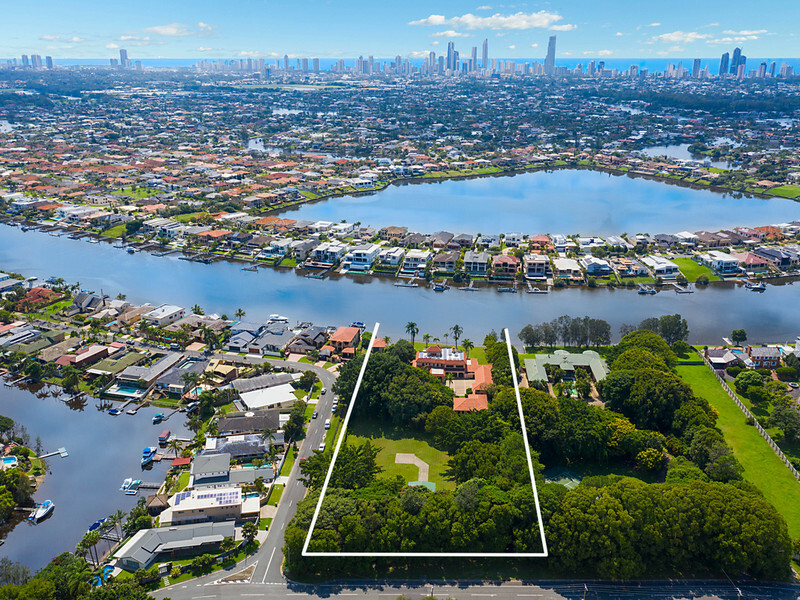 Rarely will you find such a magnificent Main River parcel of land, which is grand in size and appearance, released to the market. 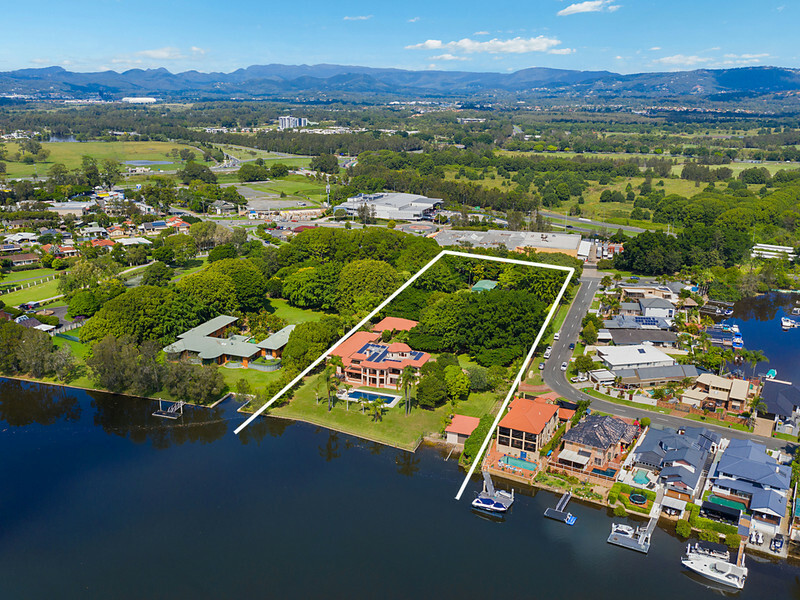 Rarely will you find such a magnificent Main River parcel of land, which is grand in size and appearance, released to the market. 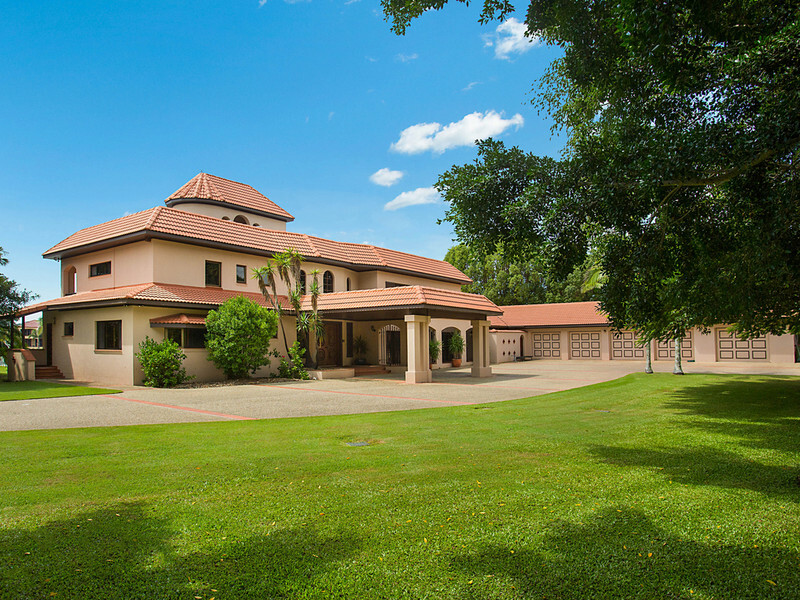 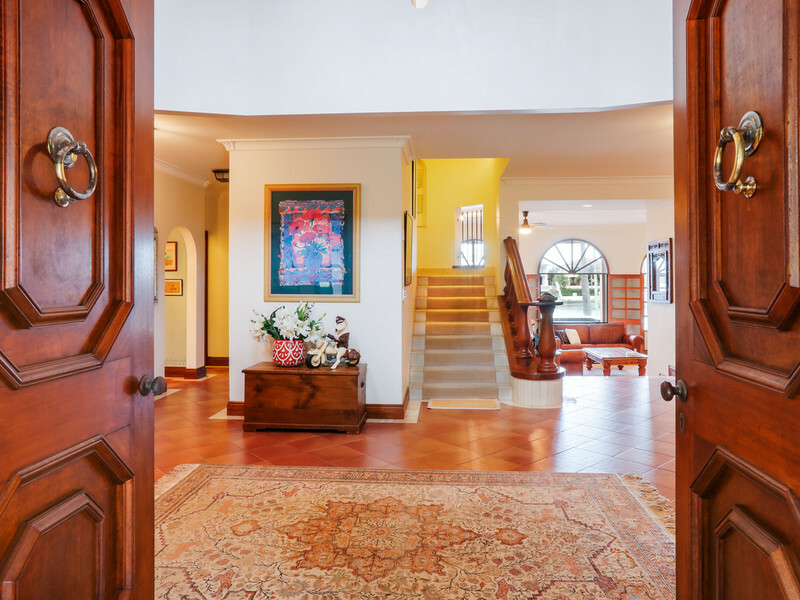 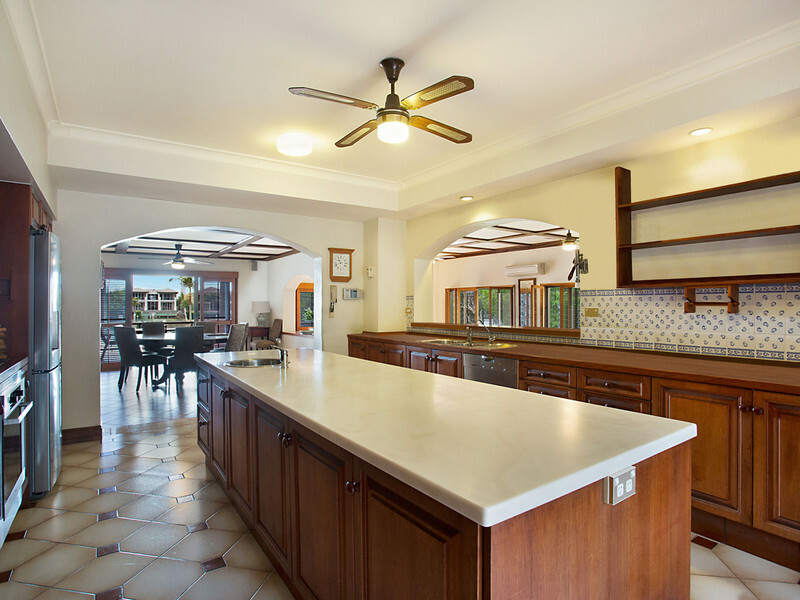 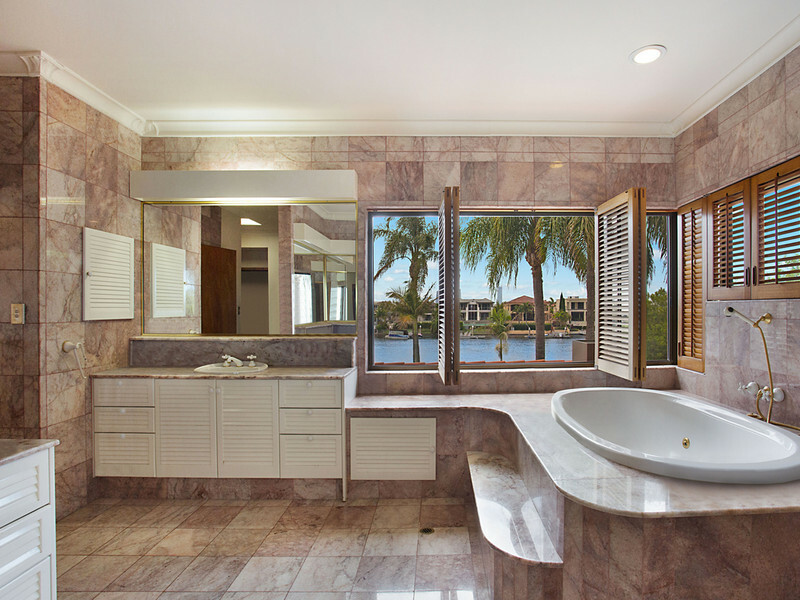 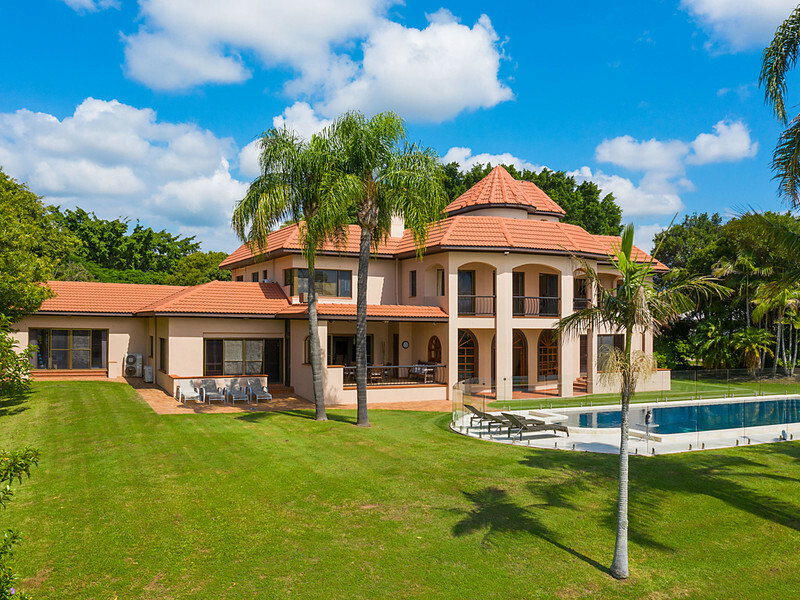 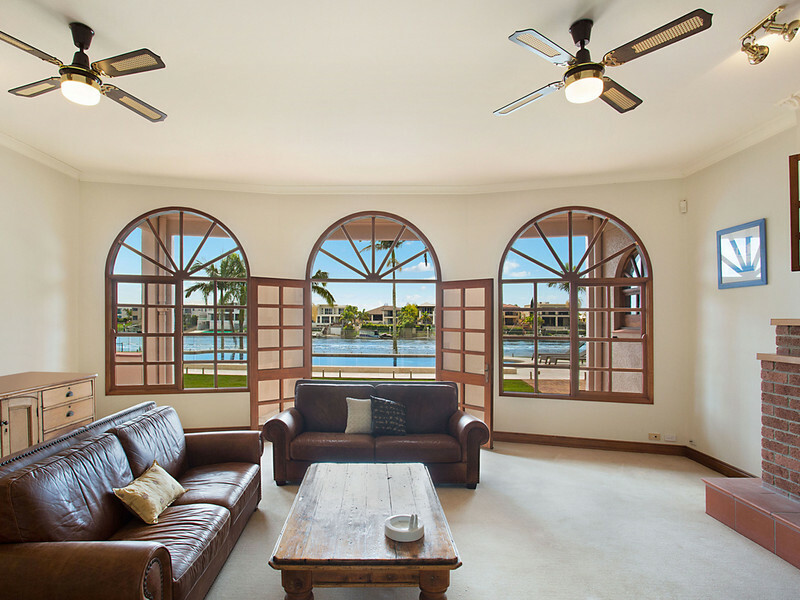 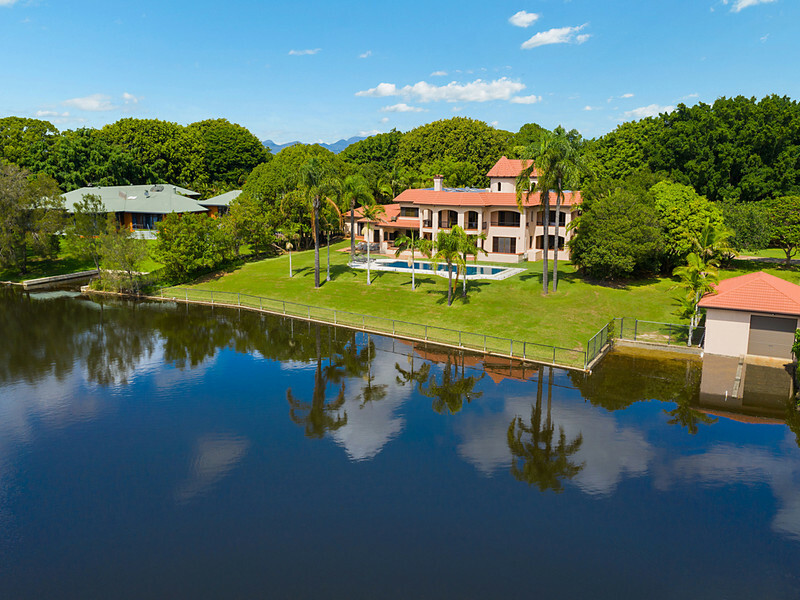 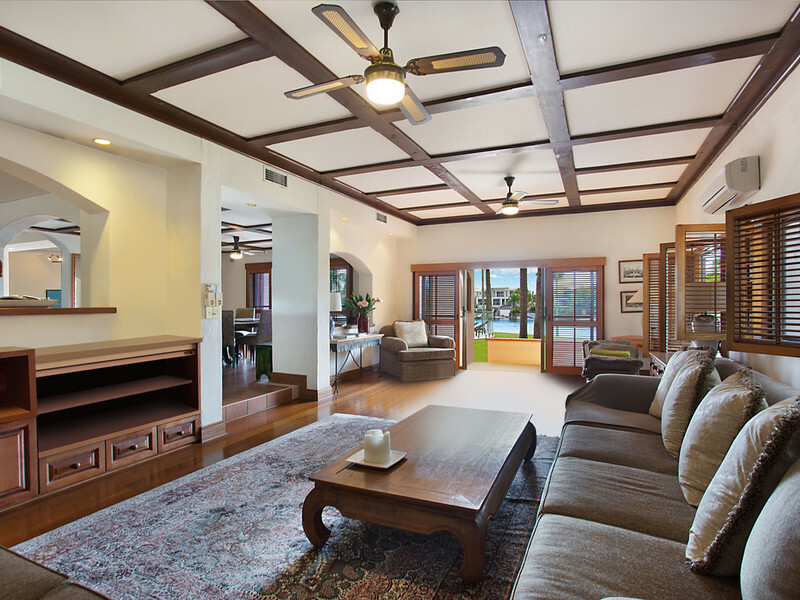 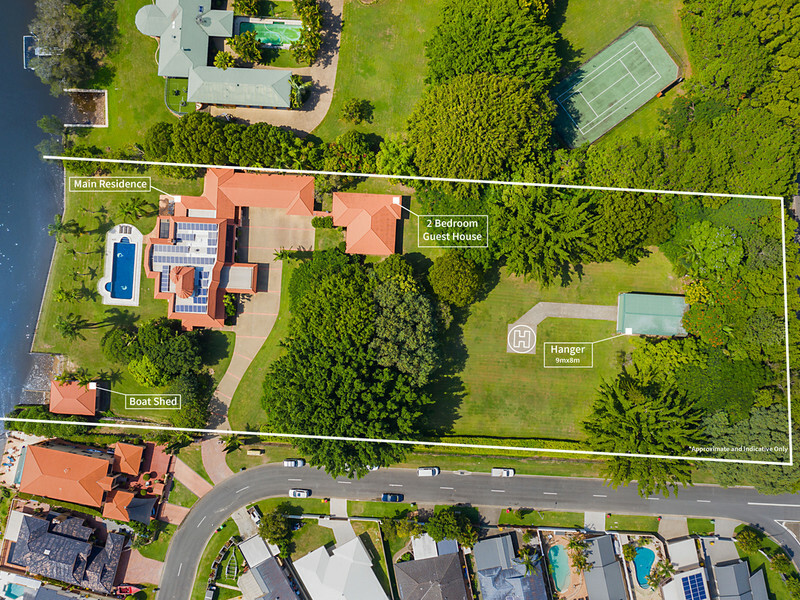 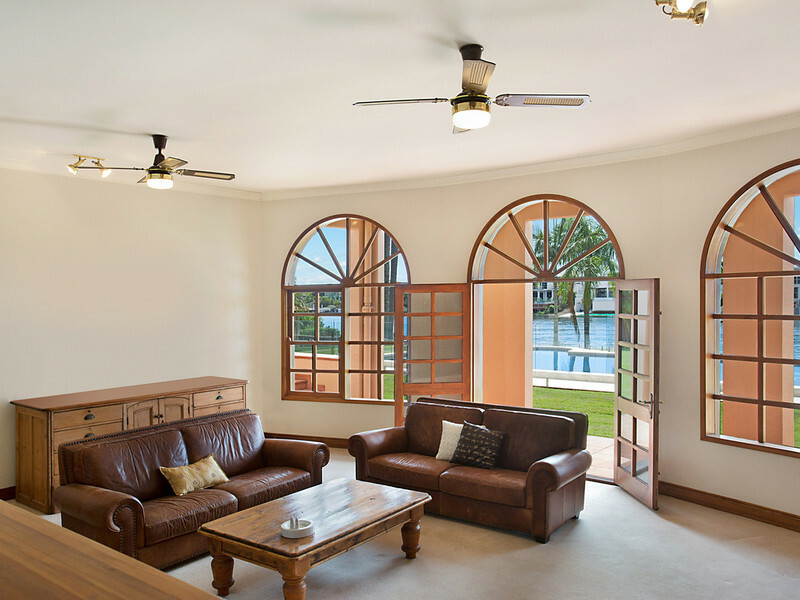 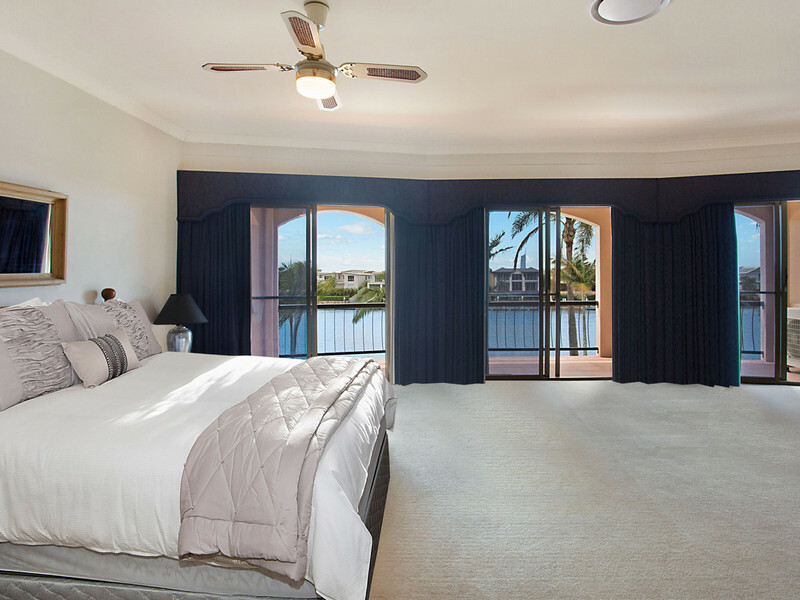 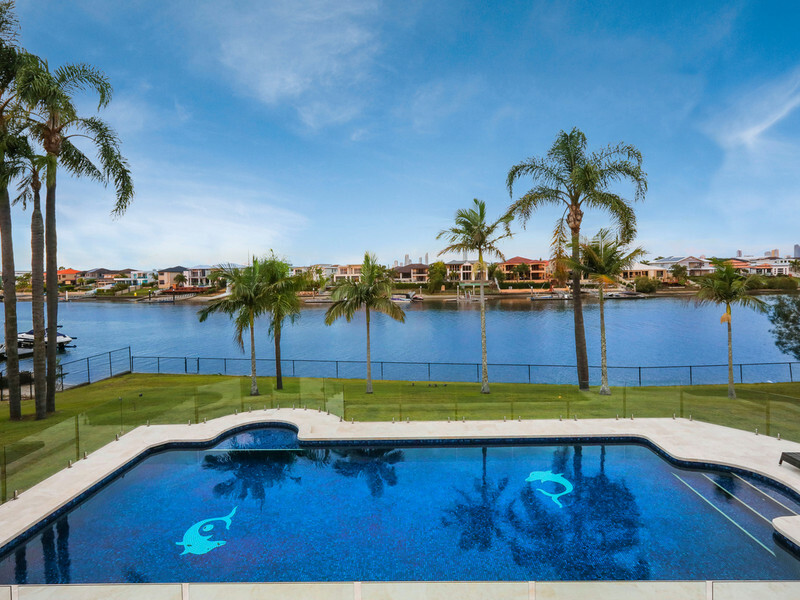 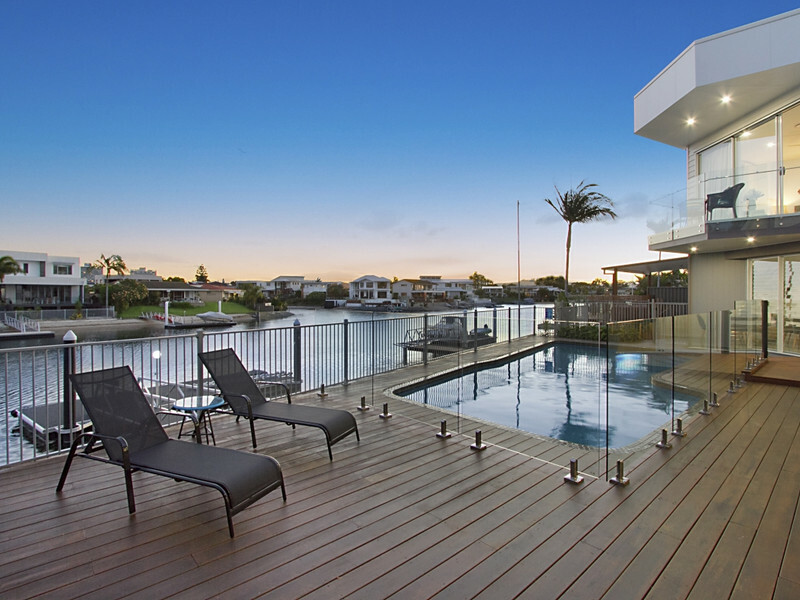 Listed for the first time in 32 years, this one owner, iconic Gold Coast estate sits on a sprawling 12,148m2 (approx. 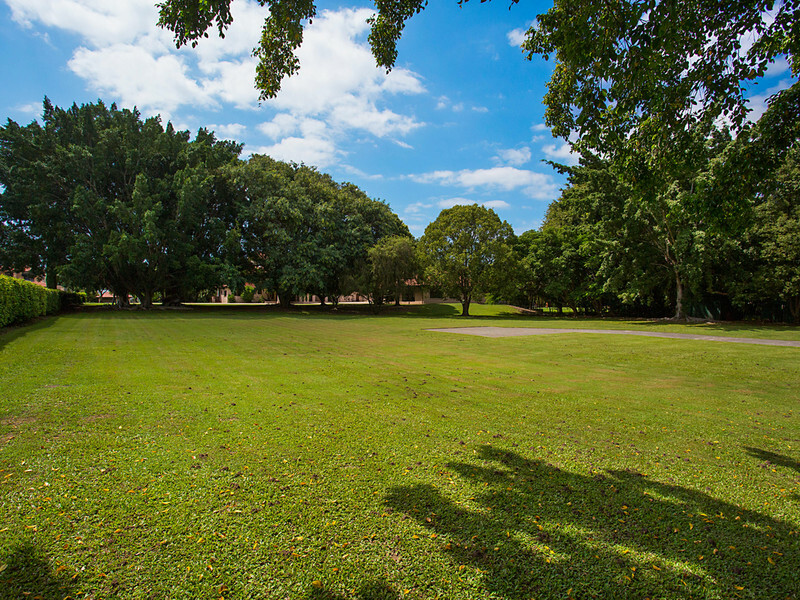 3 acre) block and will entice you with its enviable potential. 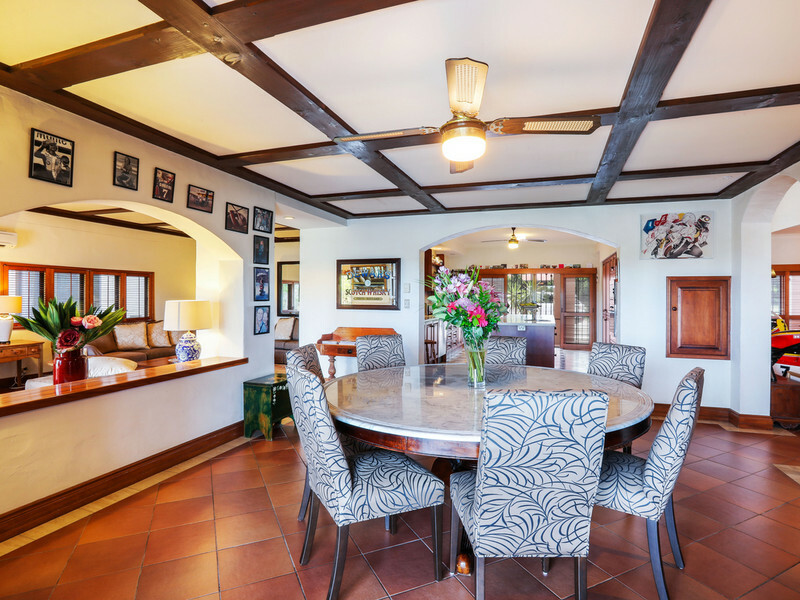 Christened “Manor House”, no expense was spared when this traditional English abode was first built. Designed by former architect to the stars, Roger Parkin, it features all the character and charm of its era, as well as a third floor bell tower with panoramic, uninterrupted Gold Coast skyline views, vast country style kitchen, numerous living and dining rooms, large bedrooms and a modern, self-contained guest wing in the main house. 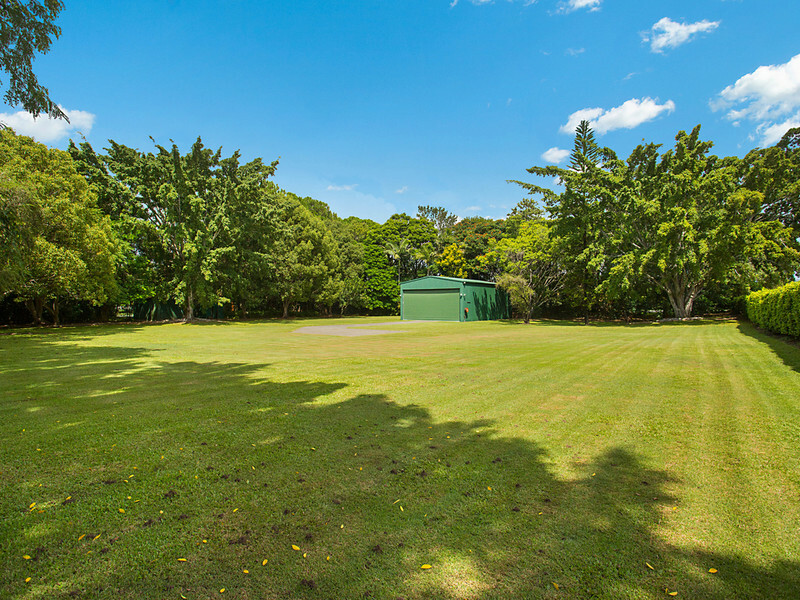 There’s also a 2 bedroom, 2 bathroom separate guest house on the grounds, plus a boat ramp and shed, heli-pad*, 8x9m hangar and 18m riverfront pool. 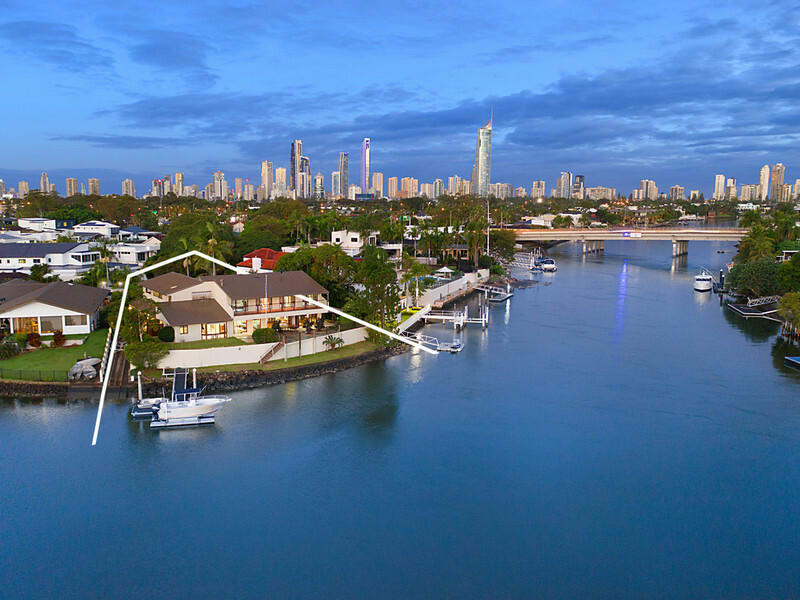 Perfectly positioned amongst ancient Everlasting Figs, towering Palms and Poinciana trees, it also sits on a 69*m wide stretch of Main River, with a 169m fence line and promises to deliver endless development potential. 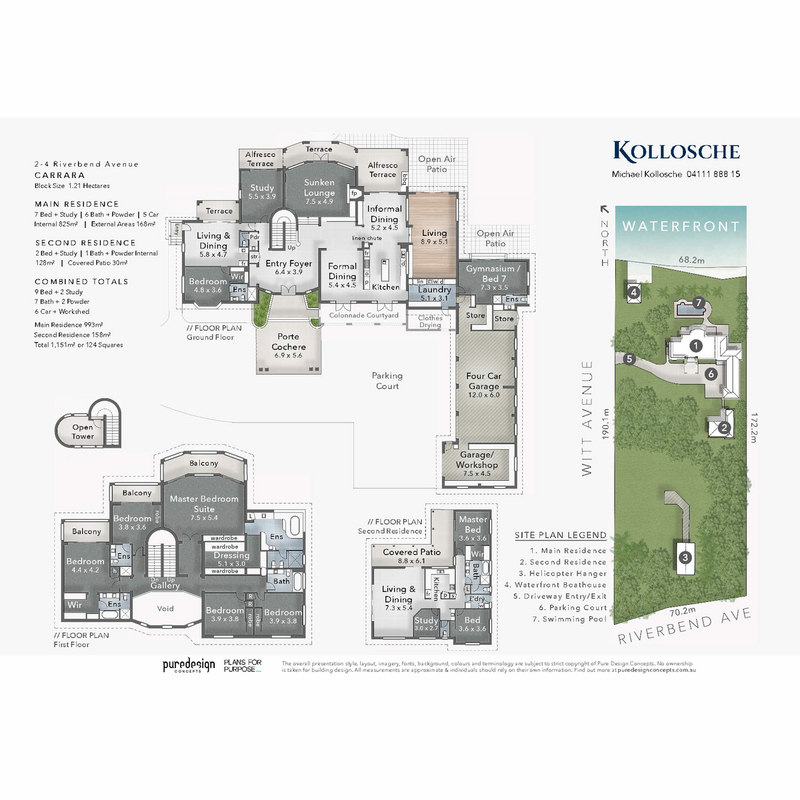 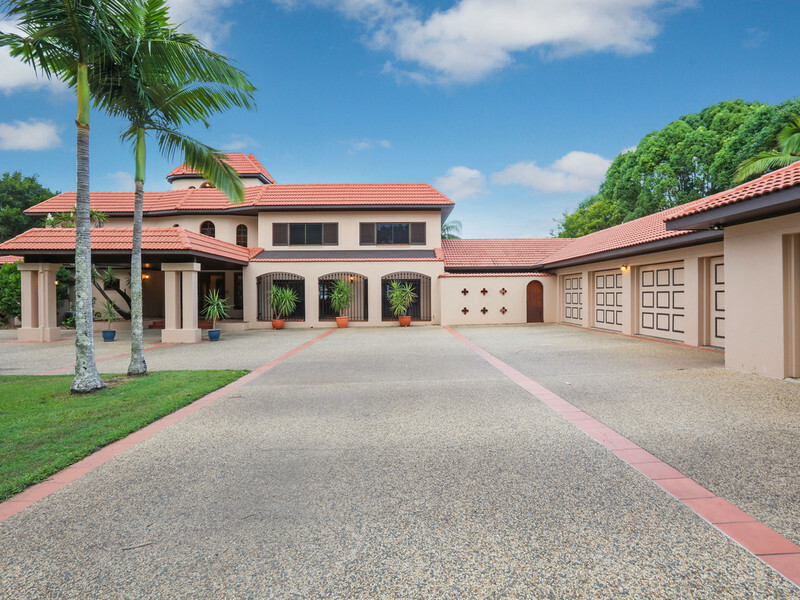 • 5 car garage, meticulously manicured grounds with lush gardens and mature trees. 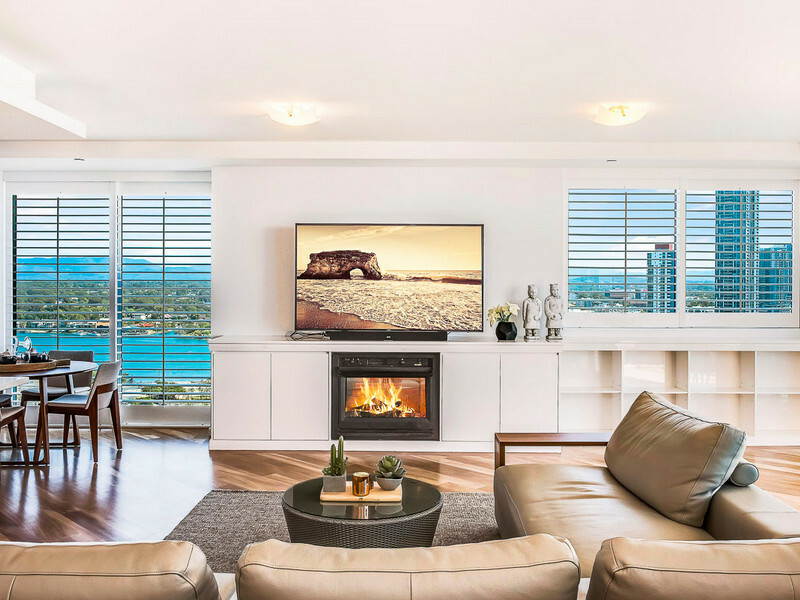 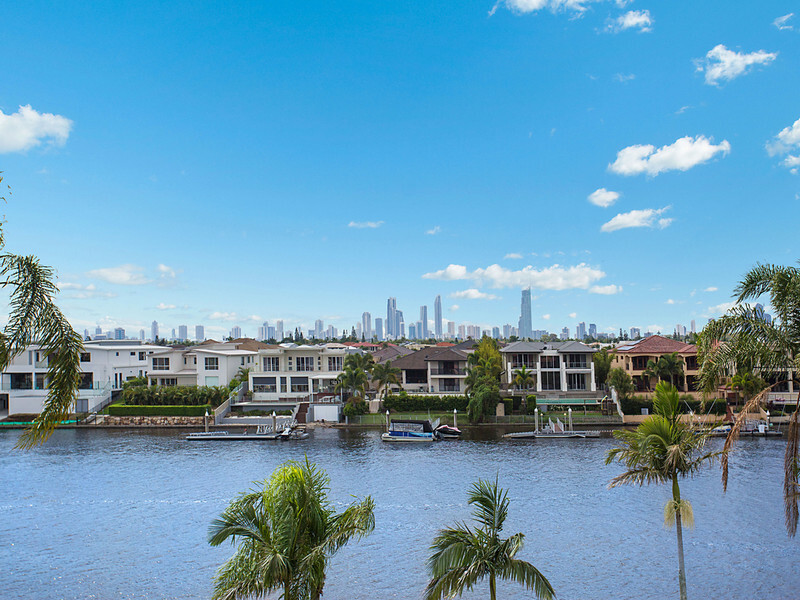 Boasting a central location, close to elite schools including All Saints College, Emmanuel College, and St Vincent’s as well as near shops, cafes, the M1 and all necessary amenities, you are also only 10 minutes away from all the vibrant offerings of Broadbeach. 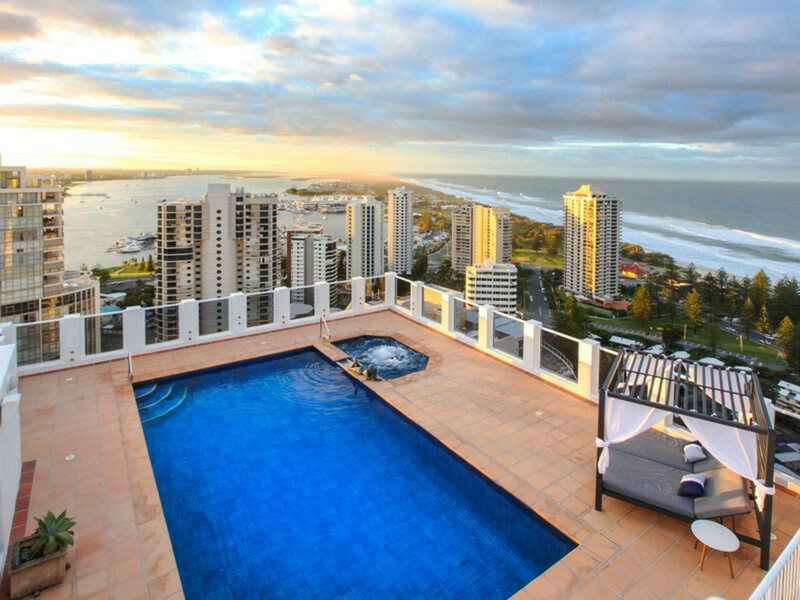 This is your extraordinarily rare chance to purchase an iconic piece of Gold Coast history. 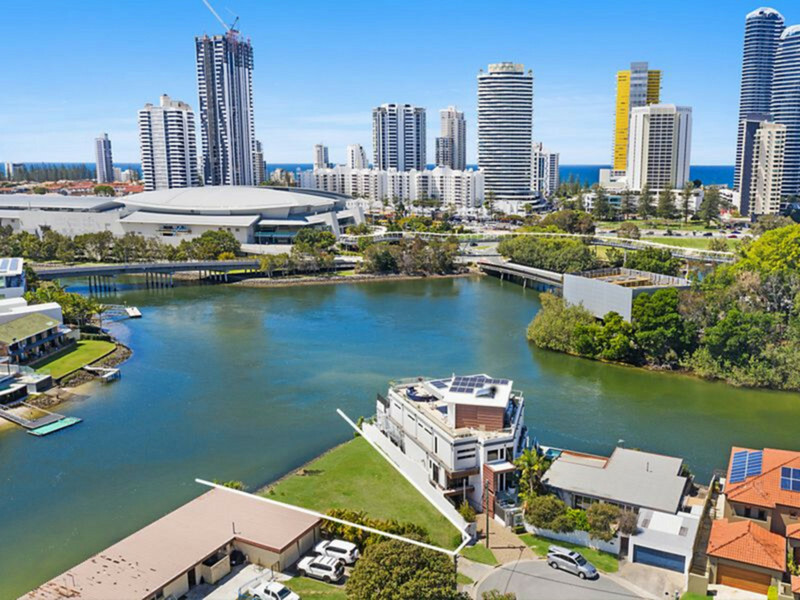 * Subject to Gold Coast City Council approval.